Few roads in northern Nevada provide a glimpse into the past quite like the stretch running from Reno’s 4th Street through Prater Way in Sparks. With buildings constructed over the course of a century or more, this single thoroughfare delivers an astounding cross-section of the region’s industrial, commercial, and residential history. For years, much of it served as the Lincoln Highway, the famed transcontinental route that celebrates its centennial this year. In the decades to follow, designated as U.S. 40, its hotels and auto camps gave way to family-friendly motels, many of which still bear their original neon signs. 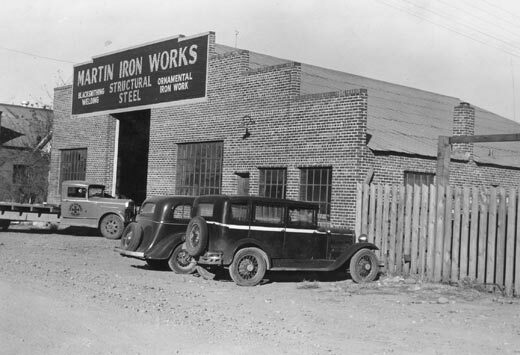 Martin Iron Works was founded by Martin Schwamb in 1939 on Morrill Street, just south of E. 4th Street in Reno. It moved to its current location at 530 E. 4th in 1949. The corridor has been central to community life, too. Iron works, breweries, lumber yards, and machine shops have long stood alongside family markets, small businesses, and restaurants, many operated by the same families for generations. It is this rich heritage that prompted the Regional Transportation Commission of Washoe County (RTC) in 2011 to initiate an innovative project, as part of a larger transportation study, to research the history of the corridor and collaborate with the community to tell its story. Beginning with an oral history project (which I directed) and an architectural survey conducted in partnership with the University of Nevada, Reno, the 4th Street/Prater Way History Project now engages a wide array of community partners, from the Sparks Museum & Cultural Center to the Historic Reno Preservation Society and the Nevada chapter of the Lincoln Highway Association. 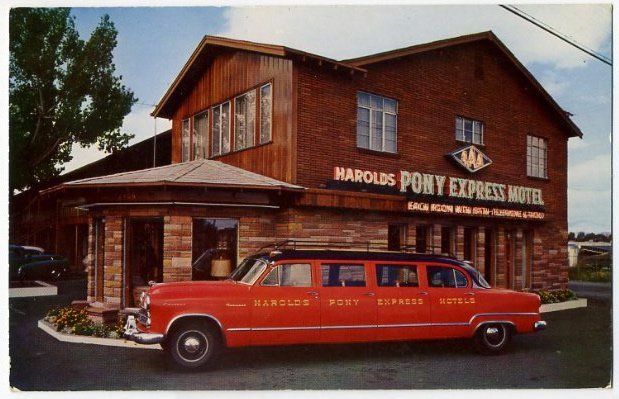 Harolds Club’s 88-room Pony Express Lodge opened on Prater Way in Sparks in 1952. The structure still stands, as does its giant neon sign. By the summer of 2014, this collaborative project will result in four major products: a multimedia online feature housed on the Nevada Humanities Online Nevada Encyclopedia; content for historical mobile apps for both Reno and Sparks; permanent exhibits installed in the RTC 4TH STREET STATION in downtown Reno and RTC CENTENNIAL PLAZA in Sparks; and designs for eight new historically-themed bus shelters to be located along the corridor. I’m thrilled to serve as the historical consultant for this project, and I want to encourage everyone to help us tell the story of this important thoroughfare by sharing their photographs, postcards, stories, and suggestions for additional research and interview subjects. To learn more, you can visit our project’s Facebook page at www.facebook.com/4thPraterHistory or contact me directly through this site’s Contact page. I’ll post updates about the project as it continues.